An argument could be made that Lee Williams shouldn’t have been on the platform. Lord knows, the lanky elder statesman of traditional male quartet soul gospel, with his distinguished salt-and-pepper hair, once a paragon of nigh stoic cool with an authoritative baritone that could sound like judgement from on high, tried to give the audience his all. But what he intended as singing was largely inchoate, garbled. And that’s only when he managed to get the microphone close enough to his mouth. The two younger men flanking him took up the slack with a few mid-tempo songs sweetly sung. But possibly the most compelling current voice in a historically and often enough, spiritually-profound style long on the commercial decline was not what it once was. Only after the fact, from a radio DJ friend who was acting as co-master of ceremonies for this date on Williams’ and The Spiritual QC’s’ farewell tour, was I made aware that Williams had gone blind a few years ago. That would account for the help he needed negotiating the steps to his performance space at Abundant Faith Church of Integrity, as well as the far away look in his eyes. Whatever else is affecting his mind and body, my disc jockey friend couldn’t say. What he did divulge was that he and those organizing the concert weren’t expecting Williams and the QC’s to perform a full set. Currently down to a trio, they set out on the tour to give their listeners an opportunity to say goodbye to Williams. Unfortunate as it was to see him in the condition he was in, it was still good to see him one last time (and my third). And if no one exiting the church (which looks to be a repurposed supermarket) groused about being shortchanged by too brief a set by the headliners, it could be that many of them were further in the loop than I was on Williams’ infirmity. It could also be that their closing segment was preceded by over three hours of gospel entertainment by five other groups, so ticket buyers got their money’s worth. The QC’s* weren’t the only traditional-styled male group on the bill. Two local ones, in a city known for its AM radio support of such combos, contributed to the middle of the bill. The Fabulous Luckett Brothers have been around long enough to have recorded for renowned, though long defunct, soul gospel indie labels HSE and Nashboro. Their most current release to receive some hometown support, actually credited as a solo single by James Luckett, Sr., is a gospelized remake of a Marvin Gaye oldie rendered “How Sweet It Is (To Be Loved By God)” in a smooth, r&b-informed ’70’s gospel style, but the whole group backed him up. If my perusal of their Discogs.com entry didn’t fool me, they sang at least a couple from their tenures for those aforementioned historic companies, too. And the Lucketts were an easy enough group to get since one of the brothers, Nate, is the husband of the lady, Michelle Pitts, whose New Pitts Mortuary sponsored the show. The Lucketts have been active for over 40 years, but The Christland Singers were set to play a concert celebrating their 69th anniversary the day after this program. Alas, at the time of their set in the middle of the bill, I was feeling a tad groggy. My tiredness wasn’t such, though, that I couldn’t recognize the Christlanders’ firm warmth of their smooth, borderline jubilee-styled harmonies on numbers such as “Take Your Burden To The Lord (And Leave It There).” And if these gents are the same Christland Singers who have an entry at MusicStack.com, they have recorded for famed specialty labels including Peacock and Checker as far back as the mid-1950’s. If so, they have certainly been around long enough to have done so. Another group of guys, The Golden Bells, made it from Mississippi to play north of the Mason-Dixon Line. Purveyors of fine harmonizing though they are too, their playing of instruments other than their voices puts them more in the mold of self-contained units such as The Rance Allen Group and The Pentecostal Ambassadors. Befitting an ensemble whose leader would speak of his tithing nightclub owner dad and sing at his funeral and this evening his pop’s favorite song by Bobby “Blue” Bland, the ‘Bells work a harder angle of an aesthetic not quite traditional as the other all-dude groups playing. That’s plenty to commend them right there, but one of their backing musicians not in matching yellow plaid sport coats was a guitarist with what looked to be an amusingly, naturally mean-mugging face and effectively utilized, crunchy guitar tone. Their sharp, yet swampy, grooves also abetted the closest I came to dancing for the night, with the lovely sister of my D.J./M.C. pal’s wife. Milwaukee’s Tiffany Terry had some of her aficionados moving in a different manner. For her train-referencing closing number, she with the magenta-and-black crimped hair and form-fitting, glittery black dress with puffy bottom led a line of folks from the audience, mostly ladies, in their own locomotive line throughout the sanctuary. Even more memorable musically, “Gotta Get Next To Jesus” has a beat that in a different context would match the sharp hip shakes of a burlesque dancer. Terry would do well to stick to this more trad’ path (enabled by more hot electric guitar) than the sort of trap r&b gospel in the line of some of Erica Campbell’s recent work, that’s much of what little can be found by her on YouTube. 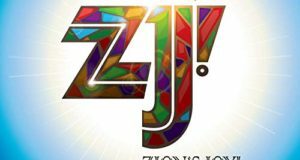 She acquits those more contemporary sounds well enough, but it would be all the sweeter were she to be her city’s next gospel performer of high national standing with her rawer, more impassioned sound. With fashion sense at least as suspect as Terry’s but a powerhouse vocal attack to render their questionable sartorial choices fairly moot were Memphis ladies Lisa Knowles & The Brown Singers. About their garb, the distaff quartet sported long, bright, velveteen-looking skirts flowing down to the floor…up from around their ribcages. Fortunately, they’re all comely enough for one’s eyes to stay on their faces. Oh, and the gals can belt. That they reminded me of The Williams Sisters and The Truthettes is no bad thing. Knowles is quite the preaching machine to boot. Though she tended some toward word-of-faith heterodoxy, her between-song pronouncements were mostly on-point, especially when it came to His sovereignty and worshipping Him simply for who He is. And if her last name brings a certain Beyonce to mind, this Knowles bears some resemblance. Her mom, with straightened, reddish blonde tresses, could pass for a sister shared between ’70’s Aretha Franklin and ’90’s LaShun Pace; gives a firm handshake, she does, too. Lurve me some of the vocals of current gospel darlings like Tamela Mann and Koryn Hawthorne, but these gals? Yow! Small local co-ed choir P. Wilson and Pure Worship opened with energy that ramped up significantly over only two numbers. The eight-voice co-ed act began solemnly with what sounded like Anthony Brown & group therapy’s “Worth” and escalated to a double-time stomper of their own origination. Sweet, that, as was leader Wilson’s pulled back cornrows complementing his facial hair. Funnier than it was sweet was one of their musicians donning a Nirvana T-shirt, one featuring the grunge trio’s logo with the squiggly smiley face and X’ed out eyes. Technically opening the night, however, was Augusta scientist/entrepreneur Dr. Luther Iglehart, coming on akin to an amiably geeky iteration of actor Whitman “Grady” Mayo in a personalized white lab coat, bowtie, glasses and beard, going in and out of excited African-American pulpit cadence to shill his all-natural, money-back-guaranteed pain remedies and hair growth & repair products. He didn’t attempt to sing, but though I didn’t purchase any of his wares, he was an amusing addition to the program. Hopefully a helpful one for those who parted with some greenbacks with a mind to relieve their hurts and grow their locks back, too. I did, however, splurge for the on-premises soul food meal before the concert. It’s become a regular feature at Pitts’ and others’ big soul gospel shows in the city. Ham, chicken both baked and fried, black-eyed peas, pinto beans, stewed cabbage, collard greens, sweet potatoes, white steamed rice, corn meal dressing and corn bread (I kept my carb load down a mite by refraining from the mac’ & cheese and fried bird) were on par with what I could get for around the same price at any of Milwaukee’s roughly uniformly wonderful soul food restaurants, not to mention the plethora of sliced fruits & vegetables, cold cuts, cheeses and desserts. If you plan on staying for the whole program, you may as well come an hour earlier and grab the grub. You are going to be there quite a while, after all. *Ever wondered, as have I, what “QC” stands for in the names of the several groups using it? It’s short for Chicago’s Quincy College High School, the point of origination for the first male vocal group to use those initials. This is according to no less an authority than Jason Rosenberg of RareGospel.com, compiler and supplier of a slew of bargain-priced CD anthologies of collectible singles sides and full albums for less than what you’d pay on the collectors market for individual copies of many of the records gathered on those compact discs. How Williams and his mates came to use it neither Rosenberg nor I could tell you. And if someone you know dies in or near Milwaukee, I’m sure Ms. Pitts would want me to inform you that her facility would be glad to do business with their next of kin. You can reach her at NewPittsMortuary.com. 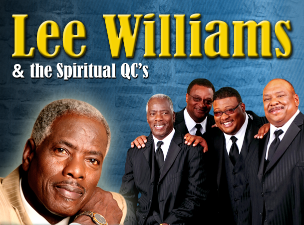 I am speaking only on your comment about Lee Williams, I have had the pleasure performing on the same stage with Mr. Lee Williams and the Spiritual QC’s. I can say I understood everything he says. He should be in the top ranks with the other fellas, Mighty Clouds, Canton Spirituals, William Bro. etc. I have bought plenty of other artist music and it could be just one track that I really like but, Lee stuff I enjoy the whole album and it was never a loss in money in my opinion. We should not worry what is wrong with him but pray for him. No I don’t think there is a come back for him. But I enjoyed him and his group.